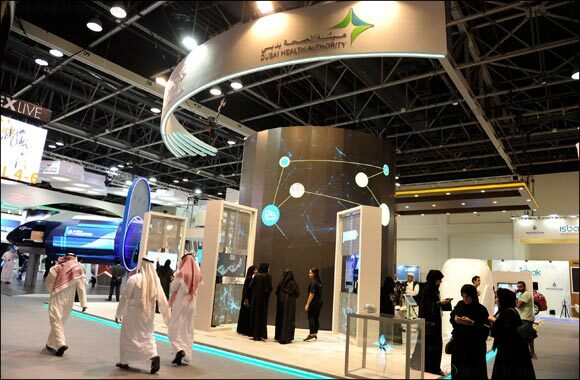 Dubai Health Authority showcases its smart services at GITEX 2018. All-in-one app rolled out for patient convenience. Al Qutami highlighted that DHA is keen to continue investing in smart technologies to enhance efficiencies, empower patients and further bolster the health management system. Dubai, United Arab Emirates, October 14, 2018: Community members will now have access to an all-in-one Dubai Health Authority (DHA) app that will help users access various health services from managing appointments at DHA facilities to checking the application status of their medical fitness test. The app was displayed at GITEX 2018. DHA also showcased other smart services in line with its vision to provide smart health services to community members. HE Humaid Al Qutami, Director-General of the Dubai Health Authority highlighted that in line with the vision of the Dubai Strategic Plan 2016-2021, DHA is keen to foster the development of smart services across all its entities with an aim to enhance efficiencies, further improve the health management system and to provide patients with convenience and patient-centered care. The aim behind merging all the DHA apps into one smart application is to better serve patients, enhance efficiency and usability of the app for the residents of Dubai. The app allows users to personalise their dashboard according to the services they prefer to avail from the DHA. The app has a plethora of features; it provides users with round-the-clock access to several important medical features such as access to their medical records, laboratory reports and prescriptions. Additionally, users can view and cancel their appointments. By the end of the year, they will also be able to reschedule and book appointments through the app. Community members can search for details of all DHA Hospitals, Primary Healthcare Centres, Specialty and Medical Fitness Centres. The app also provides a number of services for blood donation. Through this app, donors can receive invitations for activities related to blood donation through their smart device and get notifications for donation campaigns. The application will allow the public to register their details to be contacted during emergencies and disasters to donate blood. This will help develop a bigger database of donors to be able to cover hospitals’ needs. This is particularly important when the need arises for rare blood groups. The Authority also announced that from this month, Bodyo will set up five AI-assisted health pods for free health screening across Dubai. Once the user has stepped into the pod and entered a programme, the user will be scanned for body composition including blood pressure, body fat, hydration, weight and much more. The scanner is different from the ones available at gyms and other places since they just scan certain body parts but the AI pod will provide a full body scan and a health score.